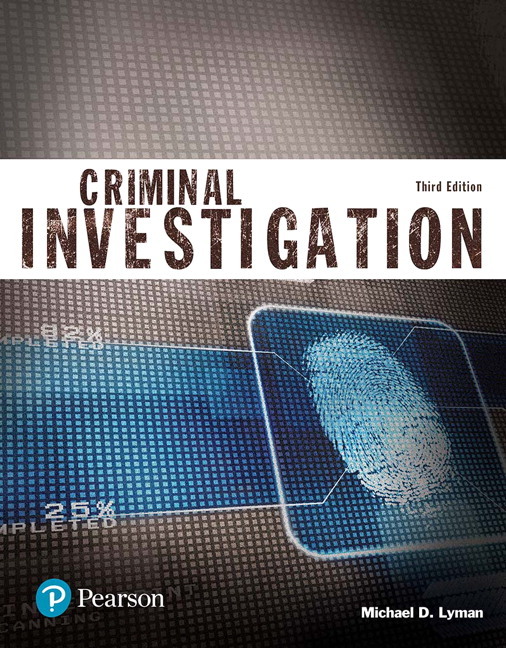 Criminal Investigation, Third Edition, provides an affordable, thought-provoking look at criminal investigations that uses clear writing and eye-catching visuals to get your students straight to the important concepts. By focusing on these core concepts, students will gain true understanding of the material, without becoming overwhelmed with unnecessary information. Lyman presents information that parallels the steps and considerations observed in an actual criminal investigation, blending scientific theories of crime detection with a practical approach to criminal investigation. The book's conversation-starting pedagogy encourages active participation in learning, moving students beyond memorization by engaging them in the latest research findings and current events shaping the field. 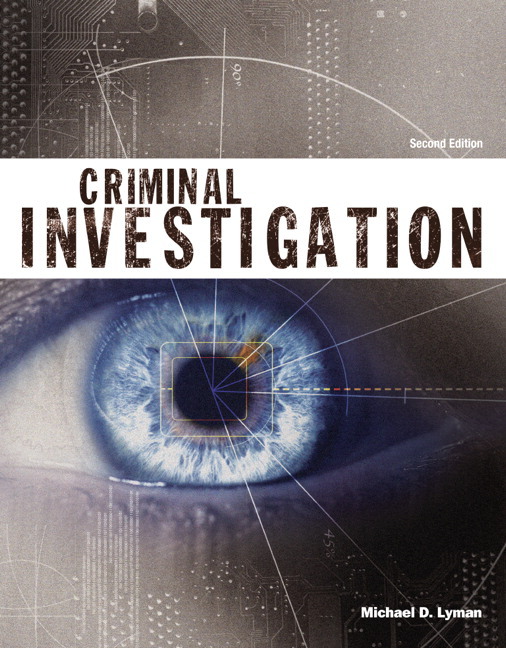 Criminal Investigation, Third Edition, is also available via Revel™, an interactive learning environment that enables students to read, practice, and study in one continuous experience. Learn more. UPDATED: Provide the most current coverage possible on classic topics and critical new issues. All chapters in the text reflect the most cutting-edge research, recent court decisions, and the latest investigative methods for dealing with eyewitness testimony, missing and abducted persons, computer/Internet crime, and other “hot-button” issues in criminal investigation. UPDATED: More detail is included on crime-scene searches and evidence. UPDATED: All statistics are updated for currency. Motivate students with engaging writing. The clear, easy-to-read, writing style is designed to tell a story about the criminal justice system. Students will be interested in the content, motivated to explore the topic further, and apply course content to everyday events. Teach your course your way. The 16-chapter format is specifically designed to enable the instructor to cover the entire book in a standard semester and to enable the student to read without being pressured to cover numerous chapters in a short period of time. UPDATED: Appeal to visual learners. Engaging infographics, flow charts, pull-out statistics, and other visual elements flow with the text, provide context, and promote student engagement, recall, and understanding. Graphics have been updated or replaced to reflect the most current data available. Encourage students to go beyond memorization. Critical-thinking boxes explore applications, conflicts, and ethical issues involving the most current media news. UPDATED: Help students retain the major ideas of the chapter. Each chapter has clearly-identified Learning Outcomes that are directly tied to course content and are summarized at the end of each chapter. Students can easily locate explanations or find review material for a particular topic. Instructors can link the course Learning Outcomes to department and university learning outcomes. UPDATED: Promote critical thinking with contemporary examples. Think About It features highlight recent events in criminal justice and pose questions related to chapter content, promoting discussion and application. Focus students’ learning. Chapter Openers include a quote and a list of objectives. Each objective has an associated icon that appears in the related chapter section and also in the end-of-chapter material, making it easy to locate explanations or find review material for a particular topic. Spark interest and promote critical thinking about chapter concepts. Chapter Introductions present a current event or story related to chapter content followed by a discussion question. UPDATED: Encourage students to apply chapter concepts. Real-life case studies at the end of each chapter pose analytical discussion questions related to chapter content, promoting critical thinking and application of chapter concepts. Offer students a helpful, easy-to-use, study and review tool. The Chapter Summary Chart displays key information with embedded review questions. Extend learning with chapter-specific resources and links. Media/Interactive Learning Web Links are included at the end of each chapter. Michael D. Lyman is a Professor of Criminal Justice at Columbia College, located in Columbia, Missouri. In addition to being a teaching faculty member, he serves as the program coordinator for the Master of Science of Criminal Justice Program and the founder of the college’s Forensic Science Program. Before entering the field of college teaching, he was employed as a certified police trainer and also served as a sworn criminal investigator for state police organizations in Kansas and Oklahoma. He has taught literally thousands of law enforcement officers in the proper police techniques and methods of professional criminal investigation. Dr. Lyman has authored numerous textbooks in criminal justice dealing with the areas of criminal investigation, policing, organized crime, drug enforcement, and drug trafficking. He received both his bachelor’s and master’s degrees from Wichita State University and his Ph.D. from the University of Missouri—Columbia. He has served law enforcement and legal communities on over 375 occasions to review criminal investigations and render the results of his evaluations and his opinions in federal court proceedings nationwide.